Nestled in the charming city of Quincy, Massachusetts you will find a luxurious condominium at 90 Quincy Shore, known as Seawinds. Some of the units in this condominium boast amazing views of the Blue Hills, the Neponset River, and the ocean at Wollaston Beach. Homes for sale at Seawinds vary in size and price. A typical 2 bedroom, 2 bathroom unit will be around 880 square feet and may cost around $270,000. Many of the units have spacious open floorplans and boast amenities like hardwood floors, balconies, and large picture windows. Some units have jetted bathtubs, granite countertops and wood burning fireplaces also. Buy a home at Seawinds and enjoy direct access to the I-93 highway, North Quincy T Station, beautiful beaches and a full service marina. Residents at 90 Quincy Shore also enjoy all the great shopping, entertainment and dining options in the Boston metro area. Within this pet friendly condominium, residents enjoy an onsite fitness facility, a swimming pool, sauna, storage, and parking. Seawinds at 90 Quincy Shore Drive is home to 150 units. 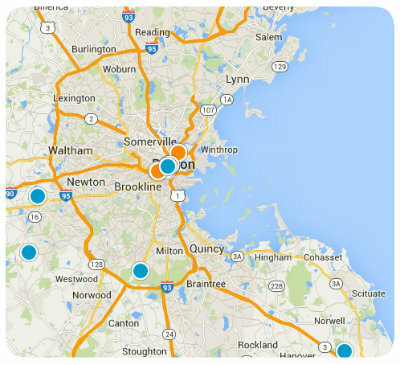 Buy a home at Seawinds and you’ll be a short 7 mile drive from Boston. The single level homes for sale at Seawinds are beautiful and bursting with amenities. If you would like more information regarding homes for sale in Seawinds at 90 Quincy Shore Drive, or you have other Quincy, Massachusetts real estate questions, please do not hesitate to contact us today.